There is a new python tool in the wild for your GunBot ! This python script will post messages to your Telegram account everytime GunBot makes a Buy or Sell . 1. download and install python 2.7.13 for windows: tick “Add python to PATH” !! EDIT telepl.py for Poloniex ( download it from https://github.com/dyvosvit/telegb ). EDIT telebt.py for Bittrex ( download it from https://github.com/dyvosvit/telegb ). a.2. IF you use Bittrex, also generate a new API key in Bittrex . c. Talk to @BotFather and type “/newbot” to create a bot. That’s it ! From this point you should get the Trades in your Telegram Bot . IF it worked for you, and you use and like it, PLEASE donate any amount you wish ! Got it working now with older Python version. Only problem is now, I get a message EVERY TIME gunbot is polling Poloniex, eg ist ALREADY HAS bought and still keeps sending a “bought” msg to my telegram bot. How can I stop that? please ask the developer on Github or seek help for that script there please . you probably did not configure / edited th bot files ? It’ s not working for Poloniex. I got ” WARNING: Polo is lagging, or we’ve got some error: ”, ‘[SSL: CERTIFICATE_VERIFY_FAILED] certificate verify failed (_ssl.c:661)”?? I get update in my telegram every 5s, is it possible to get update only in case there was new trade? the .py file that you run . edit that . I did, but can you tell me where is there a parameter to get only new trades? What is the parameter name and what value I should set it to? If I could figure out myself, I wouldn’t be asking here. please ask the developer if you want to know more . Awesome! Got it working. It took me almost an hour but I’m stoked! Everything works fine. But the “BUY” and “SELL” images that are sent along are super small. The entire thing works so I can’t complain! But I might take a few minutes myself to update better graphics. It’ll annoy me to be flooded with tons of buy and sell images that don’t look right on my phone. thats nice, but the explaination needs to improve….. PATH ?? Wich Path i need ?? 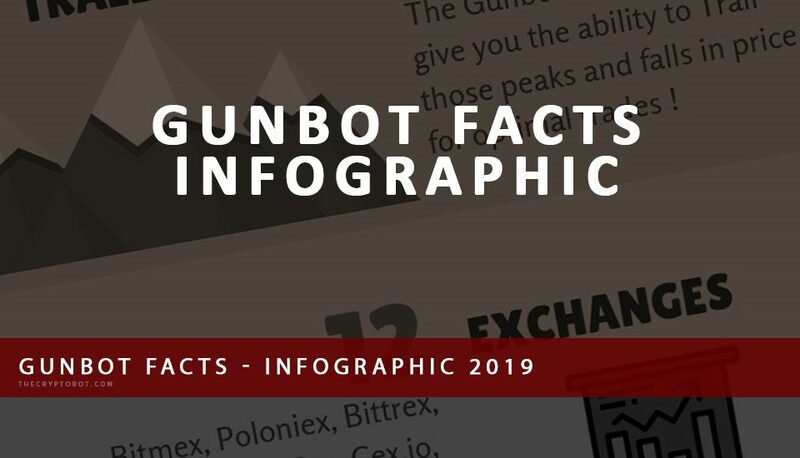 Gunbot ? Telegram ? The PATH option is in the Python installation as an option . it’s pretty straight forward .